I would like to receive occasional information and updates from BCD M&E & Zibrant LIVE! Charity Fashion Show and jumblebee. We are proud to support Newlife, the UK’s largest charity funder of children’s specialist disability equipment. 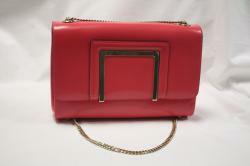 Newlife Fashion Sales’ offer high street fashion at bargain prices. Travel in style with this trolley case designed to celebrate 100 years of Globetrotter. 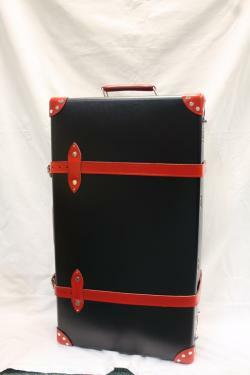 Be the envy of your fellow travellers with the red and black trolley case complete with silver tone hard -wear and leather corners, straps and handles. At 30” in height and 17” width, this case is the perfect size for a weekend get-away or a business trip. 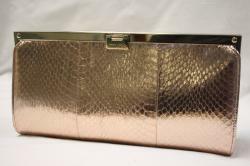 An undeniable statement piece, this Jimmy Choo clutch bag is made of 100% leather with a gorgeous snakeskin print. With an elegant contrast lining, the detail is completed with light gold tone hardwear and a logo engraved lift lock. The clutch comes with a dust bag. 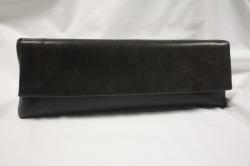 Made of 100% vintage leather, this “stone wash” effect clutch bag is a sophisticated addition to any outfit. The dainty bag measures at 44cm in width and 14.5cm in height complete with magnetic flap closure, silver tone hard ware and an external zip pocket on the back. The bag also comes with a dust bag. Sure to bring a touch of glamour to any outfit, this bold patent leather Jimmy Choo bag comes pretty in pink with gold tone hard-wear, metal protective feet and an adjustable chain shoulder strap. A shoulder bag measuring 19cm x 29cm, the bag has a flap over closure with magnetic snap fastening, an internal zipped pocket and an alcantara lining. The bag comes with a dust bag (this is slightly marked). 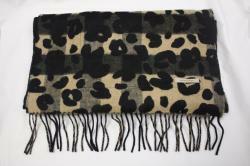 Abolishing the battle of comfort vs style, this Burberry leopard print shawl offers you both, providing the undeniable comfort of a 50% cashmere 50% wool mix with a stylish leopard print design. Complete with fringe edging and a glove pocket detail, the shawl measures 74” x 16.5”. Wrap yourself in pure luxury with a 100% cashmere dressing gown. With an equally decadent 100% Jacquard silk lining, the pastel blue dressing gown comes in small at 135 cm in length, complete with belted waist.